There are plenty of ways to get up and get moving at the fitness center, but joining a small group training class can be the most beneficial. Gone are the days of feeling lost the second you enter the weight room. And using up all of your time on the treadmill? You can forget it. By signing up to exercise with a group of like-minded individuals, you’ll challenge yourself in an entirely different light and have a blast along the way. It’s easy to get bored or feel apathetic about working out when you don’t have guidance. In a small training group, you’ll have a trainer who designed a program with variety, so you’ll always stay motivated and excited to get moving. Some people don’t want to work with a personal trainer because they’re intimidated by the one-on-one experience. With a small fitness group, you can still receive help from a professional without the stress of the individual focus. Overworking yourself, picking up too much weight or taking a gamble at an exercise you’ve never tried before can be harmful. By enrolling yourself in a class led by a trainer, you won’t have to worry about overexerting your body or blindly working yourself to the point of muscle strain. Instead, you’ll receive instruction that ensures you have the safest and most effective workout possible. Think about the people you’ll meet and the bonds you’ll form. The National Federation of Professional Trainers said that small group training creates camaraderie among individuals. It allows you to surround yourself with people who are reaching for the same goals, which can motivate you and benefit your social well-being. 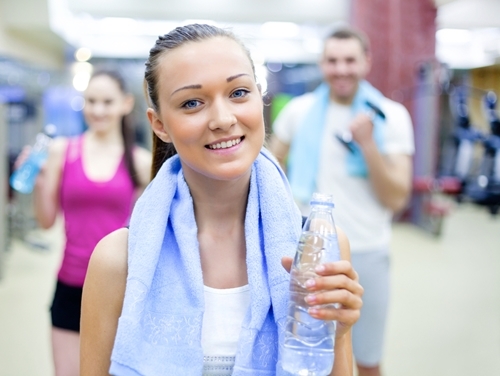 Use the opportunity to interact with friends as an inspiration to get to the fitness center. It’s a great way to multitask if your schedule is too busy! Because you’re exercising with a group of people – led by a trainer – you’ll be more likely to stay on track and workout regularly. Joining a small fitness group holds you accountable and keeps you more disciplined and focused than exercising on your own. There’s nothing worse than dedicating multiple days of the week to exercise only to find that you’ve made no progress and you’re not seeing any results. 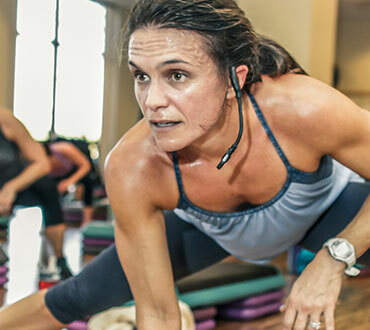 By joining a small fitness group, you’ll be led by an instructor who has the knowledge to transform your body – and confidence – into something you’ve always wanted. How many times have you dreaded going to the fitness center? If you’ve ever had to drag yourself there only to watch the clock tick wishing it was time to go, you need to join a small group training class. Fit Day said it best: “Most anyone will agree that exercising alone can be boring and tedious.” If you sign up for a session with others, you’ll have more to look forward to. At West Conshy Athletic Club, we offer a number of different classes and will soon add small group training to the calendar. Be on the lookout for the schedule! If you have any questions, don’t hesitate to give us a call at 610-828-1830 or visit us for a fitness consultation.